We can’t seem to make it through a single opinion page or White House press conference without hearing about the terrible and destructive problem of income inequality. Post after post, tweet after tweet, highlight the income gains achieved by the top 1% versus those gained or lost by other income percentiles. For some much needed context, these figures equate to an annual, inflation-adjusted, growth rate of 3.2% for the top 1% and 1.3% for the next 4%. These figures don’t strike us “spectacular”, nor would it suggest something evil or destructive. After all, that income isn’t just buried in backyards; it’s spent and invested in the economy, providing new business with capital, creating jobs, etc.. These “spectacular” income gains are always provided as evidence of a problem – i.e. the incomes of the top 1% are growing faster than those of the next 4%, or more worrisome, the next 95%. In a logic and information vacuum, that could seem like a reasonable problem - why do incomes at the top grow faster than those not at the top? How much of the “income inequality problem” is a result of the simple compounding of interest? Therefore, isn’t compound interest the most logical and innocuous explanation for why the top 1% have experienced “spectacular” income gains over the last 30 or so years? Doesn’t this also explain why incomes of people with piles of money are growing faster than those with smaller or nonexistent piles money? If so, is this really a problem? Is there a need for a “solution”? Do we ban compound interest? For the last few years, the Feds actions have been trying just that with a Fed Funds rate of roughly zero. Or should we just back an IRS semi up to the 1%’s houses and just start confiscating those piles of cash? In many states we’re already half way there with combined federal and state tax rates above 50%. The focus should be on why incomes are flat for those outside the top 10%, and what policies and attitudes can be adopted to create income gains across the board. Hint: denigrating or confiscating success does not create more success. Bellowing about the “spectacular” income gains of the top 1%, or 5% or 10% over the last 30+ years generates clicks and populist outrage, but does nothing to help the flat (or falling) incomes of everyone else. We've spent almost 40 years defending our beloved Chicago Cubs, so it a natural instinct to defend them once again. 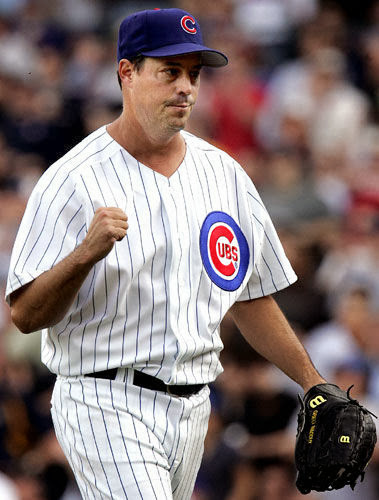 Luckily the Cubs news this week doesn't require us to defend a decision to let a perennial Cy Young contender, once-in-a-generation, first ballot hall of famer leave as a free agent out of spite. Nor did they just sign an 8-year, $136 million free agent second baseman-turned-historically-bad-free-swinging left fielder on the down slope of his career. Nope, today we’re forced to defend the creation of Clark the Cub. 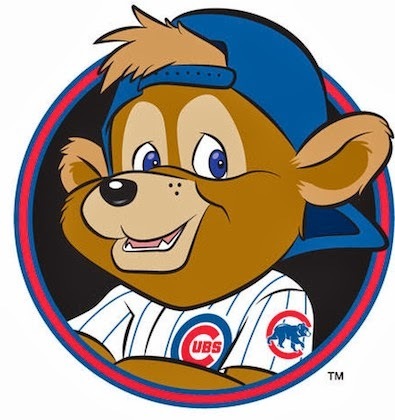 It’s one thing to brush off an obnoxious Dodgers fan on Facebook, but now I see a Bloomberg View columnist pointing out that Clark the Cub won’t end the Cubs jinx. Apparently it's a full fledged controversy. Over a mascot. It’s easy to ridicule the Chicago Cubs given their ludicrous 105-year Championship drought, but Clark the Cub is a smart move. The Cubs, and Major League Baseball in general, can see the writing on the wall. In a world where many different sports, shows and devices vie for the attention of children, baseball is losing out to soccer, Disney Jr., and Candy Crush. If Clark the Cub convinces a young Chicagoan (and his family) to buy a ticket to watch a baseball game, that's a good thing for the Cubs, their fans and their owners. To those worried about “history and mystique” we invite you to spend a beautiful summer afternoon in the bleachers, Old Style in hand. We doubt the existence of Clark the Cub (or a jumbotron for that matter) detracts from that experience. 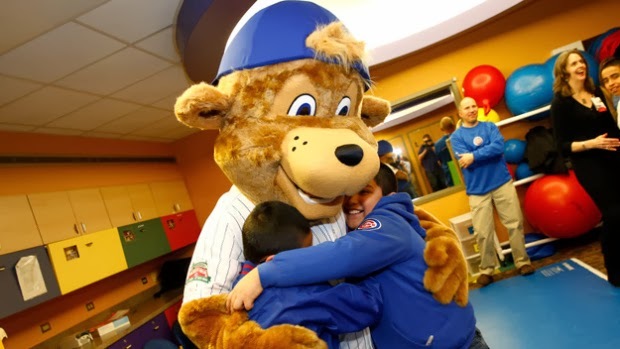 While the haters take to the internet to pontificate on the Cubs perceived bad judgment, Clark's first task was to visit children in the hospital in the hopes that they crack a smile during a tough time. It worked. Mission accomplished. It’s exactly one year since we last provided our thoughts on the Major League Baseball Hall of Fame and the holier-than-thou Baseball Writers’ Association of America who hold the keys to enshrinement. Our views have not changed, but our rage was reignited after reading a Jayson Stark column explaining why his hall of fame ballot excludes names like Barry Bonds and Roger Clemens. Does Jayson Stark believe that players associated with PEDs should be excluded from the Hall? Nope. He seems to hold views similar to ours. It’s the Hall of Fame, not the Hall of Morally Infallible Baseball Players. Yet two of the greatest baseball players of all time are not on his ballot. Why? Because he doesn’t think others will vote for them, so he doesn’t want to “waste” a vote. Are you kidding me? If you think Barry Bonds should be in the Hall of Fame, how can you possibly submit a ballot that selects Jeff Kent and not Barry Bonds? Stark, and any other BWAA voter who employs the same flawed logic, is part of the problem. A BWAA member who cared about the Hall of Fame would vote for who he believes should be in the Hall of Fame and provide a full-throated defense of those selections. Not change his votes based on how he thinks others might vote. THAT is a “wasted” vote. Maddux is a slam-dunk first timer, and Thomas and Glavine were great enough to displace Tim Raines, Lee Smith and Rafael Palmeiro on our ballot. Our prediction is that Maddux is the only player who makes the cut this year, with Craig Biggio, Jack Morris (unless he gets extra support on his last year on the ballot – another farcical BWAA phenomenon), Bagwell, Piazza and Glavine all painfully close to the 75% required for induction. PEDs are likely to cost Palmeiro and perhaps Sosa further consideration as they will be very close to the 5% total that keeps you on the ballot for next year. The popular complaint by the writers is that they system is broken. The system has worked just fine for decades, it’s the BWAA that is broken. It’s a travesty that the all-time home run leader, one of the top 5 pitchers of all time, and for that matter, the all-time hits leader are not enshrined in the sports Hall of Fame. I’d rather the judgment be placed at the feet of the visitors to the Hall, not in the pens of the BWAA.